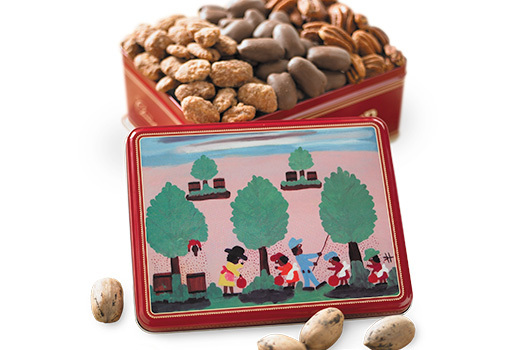 Executive Tin, Mammoth Pecans 28 oz. 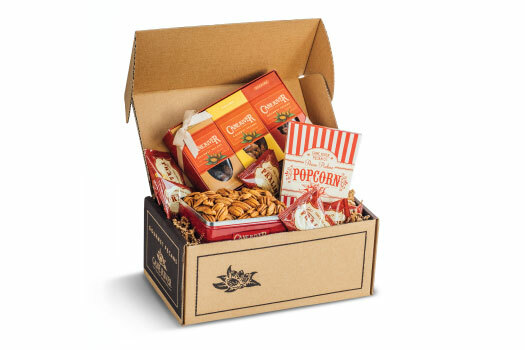 Welcome home delicious Mammoth Desirable pecan halves, all packed neatly into a handsome Cane River Pecan Company gift tin. These pecans are nature's finest...firm, crisp and likely bigger than you've ever seen. They come all-natural, with no salt, sugar or flavoring of any kind added. 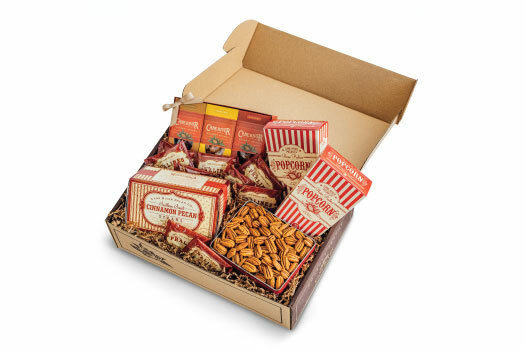 These Mammoth Desirables are perfect for gifting and are available in our colorful, embossed Cane River gift tins (Corporate and Executive sizes). cheese and a good full-bodied cabernet! All 5 of our various products were excellent! Delivery was on time as usual. Best Pecans I've ever had, thanks Jady! Excellent quality pecans. Cane River goes that extra mile to deliver the best quality to its customers. Superb customer service that's on top of their game. Without a doubt I will continue to purchase from Cane River. Great job guys! 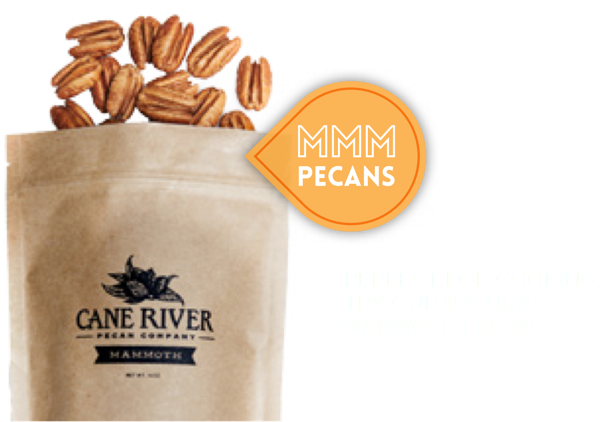 I've been buying Cane River pecans for years receiving the same excellent product. I buy in bulk, 15 pounds at a time. The heavy cardboard box keeps the halves I always order in perfect shape. Inside the box the pecans are wrapped in a plastic bag, very professional.